Intel Corporation unveiled its 2010 Intel® Core™ vPro™ processor family to meet the needs of businesses of all sizes for PCs with greater, more flexible performance, theft prevention and cost savings in a rapidly changing business computing environment. 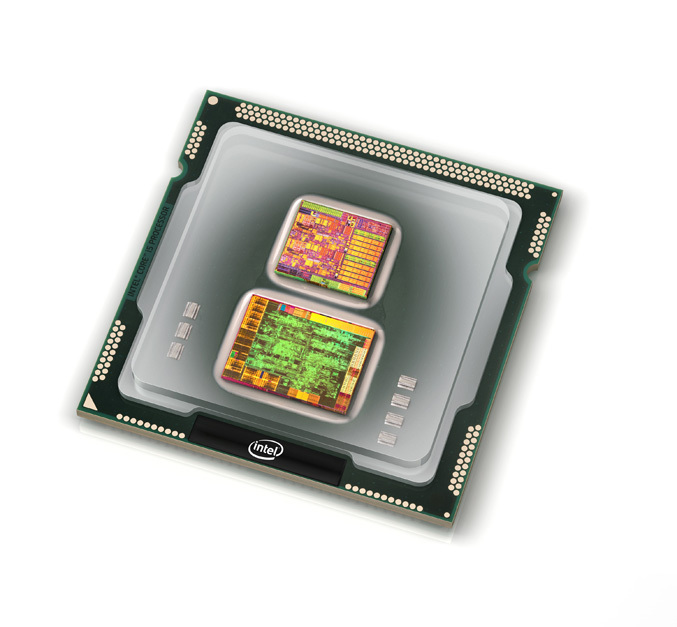 These and several other capabilities are at the heart of many new Intel-based business laptop and desktop computers beginning to roll out from computer manufacturers worldwide. 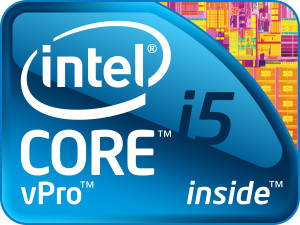 The Intel Core vPro processors arrive as business computing evolves with the emergence of video, Internet telephony, social networking and other heavyweight applications – in many cases running at the same time – making a computer’s performance an even bigger priority. The platform based on the 2010 Intel Core vPro processor family includes the new Intel® Q57 Express chipset, and new Intel® 82577LM Gigabit Network Connection for notebooks and Intel® 82578DM Network Connection for desktop PCs. Computer manufacturers worldwide, including Acer*, ASUS*, Dell*, HP*, Lenovo* and Toshiba*, are rolling out business PCs based on the 2010 Intel Core vPro processor family. In addition, developers of software solutions for small- and medium-sized businesses (SMBs) and enterprises such as Aternity*, Bomgar*, Kaseya*, LANDesk*, Level Platforms*, LogMeIn*, Microsoft*, N-Able*, RealVNC*, Spiceworks*, Symantec* and WinZip* will support the new features in their upcoming products. IT service providers, including AT&T Tech Support 360* and PlumChoice*, plan to adopt Intel Core vPro Technology capabilities into their SMB offerings. The processors are based on Intel’s award-winning “Nehalem” microarchitecture and manufactured on Intel’s groundbreaking new 32-nanometer process. Intel has integrated high-definition graphics in its processors for the first time, and incorporated Intel’s second-generation high-k metal gate transistors that help increase computing speed and battery life. The 2010 Intel® Core™ i7 processors and Core™ i5 processors feature Intel® Turbo Boost Technology and Intel® Hyper-Threading Technology for adaptive, “smarter” computing. Intel® Turbo Boost Technology automatically adjusts the speed of the processor when it senses a workload change – faster when the user, for example, is multitasking or watching a video, and slower, more energy-efficiently when the worker goes for coffee and only background applications are running. Contributing to the industry-leading speed and energy efficiency of the processors, Intel Hyper-Threading Technology interconnects multiple processor cores with multiple “threads” that enable faster processing of instructions in parallel. Using standard benchmarks, a notebook with the 2010 Intel Core i5 vPro processor can run business productivity applications up to 80 percent faster1, multiple applications up to twice as fast1, and protect confidential data up to 3.5 times quicker1 compared to a 3-year-old mainstream notebook. Intel® Anti-Theft Technology, available with Intel vPro Technology frustrates thieves by locking access to a PC if a central server or built-in intelligence concludes it is lost or stolen. New Intel Anti-Theft Technology version 2.0 (Intel® AT 2.0) enables encryption solutions to disable access to cryptographic keys through hardware to completely block access to data, and also makes it simpler to reactivate a PC once in rightful hands. Also, a custom message can be displayed in a pre-OS screen of the disabled PC for anyone who tries to access the computer. Many computer makers plan to support Intel AT 2.0, such as Fujitsu*, HP, Lenovo and Panasonic*, and such security companies as Absolute Software,* PGP*, Phoenix* and WinMagic*. The new Intel Keyboard-Video-Mouse Remote Control (KVM Remote Control), features available with dual-core Intel Core i5 and i7 vPro processors work in conjunction with Intel® integrated graphics, bringing a stop to IT administrators’ frustration with having to ask users, “What do you see?” Instead, they will see users’ displays just as the users do and have full control of the PC, even if the operating system is inoperative. Previously, KVM functionality required appliances that cost as much as $200 and more per PC. As encryption becomes more prevalent in business PCs, Intel has added features that avoid productivity slowdowns. First, Intel incorporated new instructions for the Advanced Encryption Standard into the hardware, speeding up encryption and decryption. Second, new Intel® Remote Encryption Management enables distant IT personnel to manage PCs with encrypted hard drives by more securely unlocking those drives, making all of the Intel vPro Technology capabilities available. Today, Channel OEMs and system builders, including ASI*, Equus* and Seneca Databegan* introducing notebooks for SMBs based on the 2010 Intel Core processor family and other Intel building blocks. The full-featured line of notebooks, supported by an Intel enablement program called “Spring Peak,” are being developed by original design manufacturers such as Gigabyte* and Pegatron*, and sold through Intel channel distribution. The Spring Peak platform offers distinctive design, docking station, 15.6-inch LED LCD performance notebook and supports Intel Anti-Theft Technology. Intel launched a workstation platform based on the new Intel Core i5 processor and the Intel® 3450 chipset. The platform creates an innovative category of entry-level workstations that delivers workstation efficiency, power and reliability at near-traditional business PC prices. The platform is aimed at SMB and enterprise users who run such applications as digital-media creation or entry-level computer-aided design. The platform takes advantage of new Intel HD graphics and has been certified on applications from ADOBE, Autodesk and others. Workstations based on the platform are being introduced by Intel channel providers, including Fujitsu, HP, Lenovo and NEC. For wireless performance that complements the speed of the new Intel Core i5 and Core i7 processors, Intel unveiled the Intel® Centrino® Ultimate-N 6300 and Intel® Centrino® Advanced-N 6200 802.11n WLAN adapters. The adapters offer advanced 802.11n multi-stream capabilities, dual-band support, consistent coverage and higher speeds (up to 450 Mbps for the 6300 and 300 Mbps for the 6200). Intel also introduced the Intel® Centrino® Advanced-N + WiMAX 6250 adapter, which offers up to 20-Mbps WiMAX and advanced 802.11abgn (up to 300 Mbps) WiFi for maximum versatile coverage. All three adapters support Intel vPro Technology.